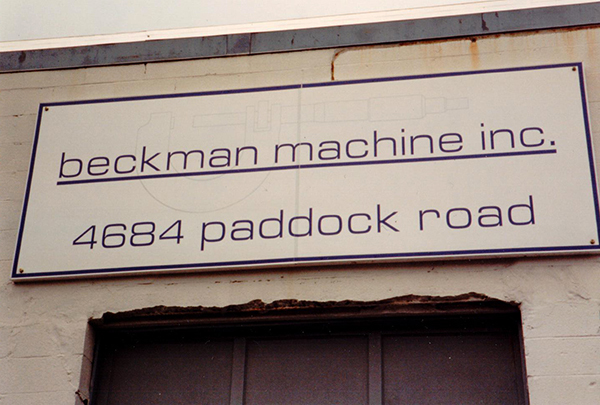 Beckman Machine was founded in 1989 by Chuck Beckman and his wife Kay. It began as a contract machine shop producing low volume parts, fixtures, and prototypes. A majority of Beckman Machine’s work was in repairing, rebuilding, and producing new machinery parts used by it’s customers in their production facilities. Some of this was emergency or breakdown work, and the rest was planned replacement of MRO (Manufacturing, Repair, & Operations) parts. In 2012, Greg Bell and a partner purchased the company. The goal is to continue Beckman Machine’s tradition of close customer attention, fast response, and prompt delivery. Later Greg acquired the entire business. He operates it together with his wife Kathleen, and Operations Manager Chris Wilson. Chris has lots of experience in manufacturing operations through work at Beckman Machine and General Electric. Greg began his career as a Design Engineer at Xerox Corporation, and subsequent work at Ford Motor Company, Milacron Inc., and KCB Capital Partners – a private investment company.